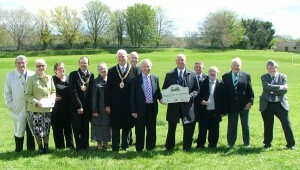 Garden City Recreation Ground, Chepstow, is to be protected forever by Monmouthshire County Council as a Centenary Field. Run by national charity Fields in Trust, in partnership with The Royal British Legion, Centenary Fields aims to protect war memorial playing fields, parks and green spaces in memory of those who lost their lives during World War I. This national programme is a unique way to commemorate the centenary of World War I. 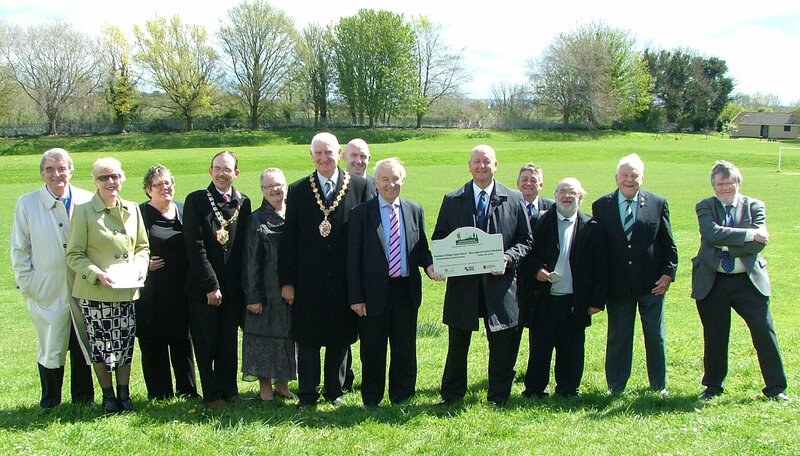 It gives land owners such as Monmouthshire County Council the opportunity to dedicate space to remember the sacrifices of those who gave their lives during the conflict, but also to ensure that future generations have valuable green space to enjoy as a living legacy. Centenary Fields protected through the programme can be war memorial parks and playing fields given in memory of those who lost their lives, or other green spaces that have an existing or planned link to World War One such as Garden City Recreation Ground. The Recreation Ground was laid out by the Admiralty ‘National Shipbuilding Company’ as part of the new village built for workers of the Government’s new shipyard at Chepstow in 1917 to provide ships for the First World War effort. The housing development and slipways for the ships were built by 6,000 Royal Engineers and some civilian work was undertaken by German prisoners of war. “We are delighted to have this opportunity from Fields in Trust and The Royal British Legion to mark the centenary of World War I in this unique way. Protecting Garden City Recreation Ground and also Bailey Park in Abergavenny means that there is always somewhere to remember the sacrifices of World War I, but also to enjoy the fresh air and the surroundings”.